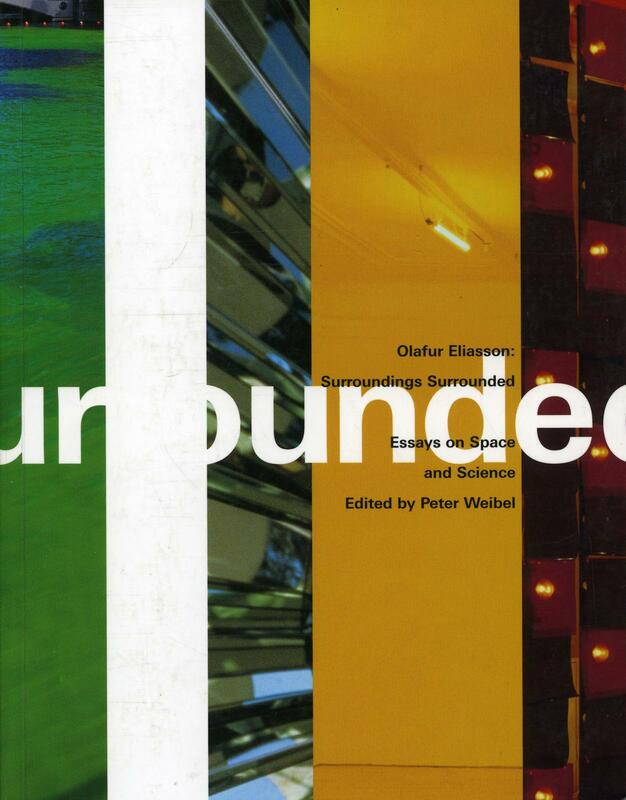 This dense text sourcebook was published on the occasion of the exhibition Surroundings surrounded at Neue Galerie am Landesmuseum Joanneum in Graz, Austria, 2000, curated by Christa Steinle and Peter Weibel, which travelled to the Zentrum für Kunst und Medientechnologie Karlsruhe, Germany, in 2001. It also presents a broad range of the artist’s works through image sequences. The texts, selected by Eliasson and Weibel, are organised under headlines or themes, made up of titles of Eliasson’s artworks. Rather than being collected in chapters, the texts for each theme run through the book in parallel movements to emphasise their interconnectedness. None of the essays focuses on Eliasson’s work directly, the aim of the publication being to offer a rich scientific context for the exhibition.